The kindergarten will be a dual immersion language kindergarten in English and Finnish. We are fully bilingual and will support children to learn either language at their own pace . • Families immigrating from other countries and English being their second language. • Finnish families wanting an English primary school pathway/bilingual. • English language families needing Finnish as a second language/ English primary school pathway/bilingual primary school pathway. Children will be supported to obtain both languages progressively and not through session based learning. As our kindergarten uses dual immersion language ( as in a bilingual home ), children would learn common words more easily , comfortably , and in their own time . 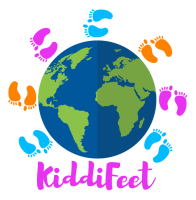 Children attending KiddiFeet would have strength in both languages, giving the children a greater choice in all pre-schools offering either English, Finnish or bilingual pathways, which we feel benefits the children greatly. Learning Outside the Classroom, we deliver the curriculum to the children using the outside equally. This allows the children to learn in a healthier way, promoting the Finnish way of life and supporting an active lifestyle. They'll have direct contact with Finnish nature, weather, community, and be more physically active, having more freedom to move whilst learning through play. Will have access to the local library where they will attend a workshop to use a 3D printer. They will also have the Angry Birds park only a 4 mins walk away, which is going to be a hit! The children will regularly go on nature walks, visit local stables, and spend time exploring the community. We will be working on projects with the children from Opinmäki school and the children can't wait! All children are different and have abilities that should be recognised and praised for. With the MIT, children will be supported to feel that they are able to contribute to any project or topic through careful planning from teachers, recognising the child's individual pathway that allows them to develop self-esteem and feel a valued member of the group. This will create positive learners and our kindergarten is set up to allow the children to allways have a place for them to explore. We will be hosting a seasonal flea market where tables can be rented and you may sell your second hand children's items to local people from the surrounding area. It is open to everyone. The property is located in the newly developed residential building opposite Opimäki school. The building was finished in 2016 and is of a high standard. The layout of the kindergarten is open planned for the children to learn freely and with space to expand their ideas. The design is simple, stylish with some bursts of colour, complimenting a more relaxed environment but with all the good quality activities to have lots of fun. ​The approach will be learning through play, exploration, active learning, creativity, and critical thinking, and will strongly focus on social development, using expressive arts and design. Most of the learning will be done through play in small and large groups. We will be fully immersing children in the Finnish way of life and Finland's traditions as well as other traditions from around the world. We also have a licenced shop for you to purchase most of the things you see that the children use to play with. There is a list available from the Facebook page and you'll find some items on display at the kindergarten. A delivery service is available but items can be collected from the premises. See KiddiFeet shop at Facebook.